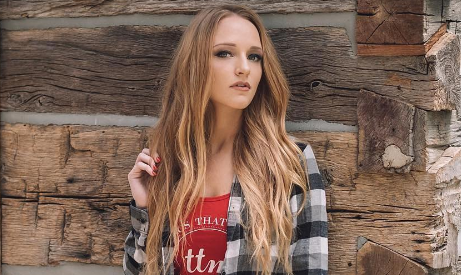 Maci Bookout’s new memoir I Wasn’t Born Bulletproof…, looks back on the struggles she had while dating ex Ryan Edwards. Despite their ups and downs, the Teen Mom OG star was invested in making it work for the sake of her teen pregnancy. The two continued dating, until they realized splitting up would be best for their son Bentley. Bookout expressed that it was the “most painful breakup” she’s had. According to People.com, the celebrity exes are both currently in long-term relationships with other people. In celebrity news, this reality TV star shared her experience in a toxic relationship. What are some ways to know your relationship is toxic? 1. Thinking back instead of looking forward: This red flag applies to happy memories and grudges. If you think about the past more often then being excited about the future, then you need to reconsider why you want to continue the relationship. 2. Tiptoeing around small conflicts: Ignoring or lying about a problem for the sake of keeping the peace is more harmful than confronting the issue. This behavior always leads to a huge fight, which is something that must occur often if this happens while you’re together. 3. There’s self-doubt within the relationship: Lacking confidence in yourself because to how your partner treats you can be harmful to your overall heath. If you or your partners is developing bad habits or feeling helpless, end your relationship. Will you be reading Maci Bookout’s new book? Let us know in the comments!